A new rezoning request could build a mix of condominiums and single-family residential lots on undeveloped property next to JP Moseley Park if approved by the board of commissioners. The Reservoir Group of Watkinsville, GA has requested a rezoning from RA (residential agricultural) to RS (residential suburban) for 186.9 +/- acres along Millers Mill Road in Stockbridge. The RS zoning district has increased in popularity in recent months. The district provides for a combination of either townhomes or duplexes alongside single-family residential. Rezoning requests for the residential suburban district are either pending or recently approved on Flippen Road, Willow Lane, and Jonesboro Road. 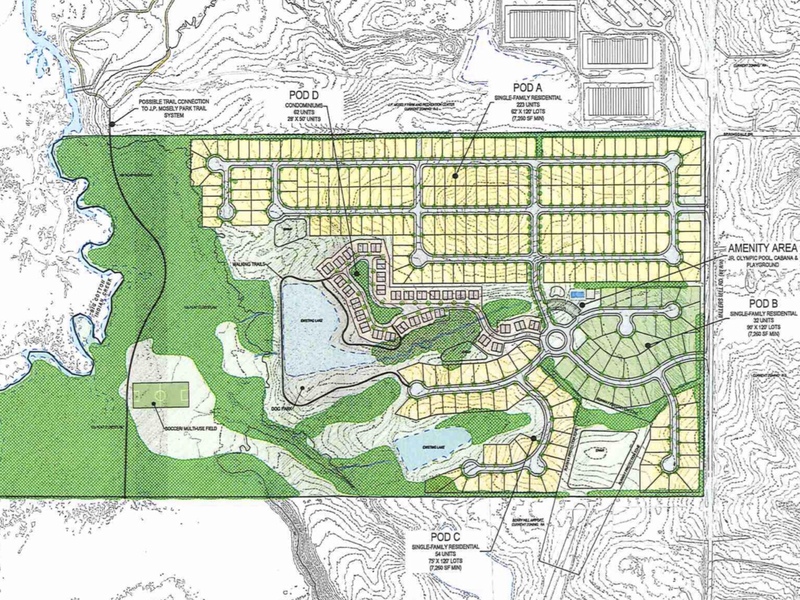 The applicant’s request includes a total of 385 371 residential units, for a net density of 5.43 5.06 units per acre. The future land use map designates the property for medium density residential development, supporting up to six units per acre. The project’s site plan has undergone several revisions since the zoning advisory board meeting on January 24. After concerns were raised by nearby residents and members of the ZAB about potential impacts to the adjacent Berry Hill Airport, the applicant retained the services of Aulick Engineering, LLC to provide airfield design consulting services. The consultant identified a runway protection zone that extends from the eastern edge of the runway onto the subject property. With the inclusion of the RPZ into the proposed development, the most western roadway entrance was eliminated and several lots were either relocated or removed. Please see the table above for the revisions within the lot count. Furthermore, the applicant hired Applied Environmental Sciences, Inc. to perform a wetland / State waters delineation on the property. It was originally stated that the subject property contained 52.9 acres of flood plain; however, following the consultant’s findings, that amount has been reduced to 47.6 acres. A majority of the community amenities were relocated closer to the project’s entrance after the discovery of wetlands within the vicinity of the original location. Over half of the site (54%) is planned to be open space. This includes 47.6 acres of flood plain, 4.0 acres of pond, and 49.2 acres of buildable land set aside as open space. 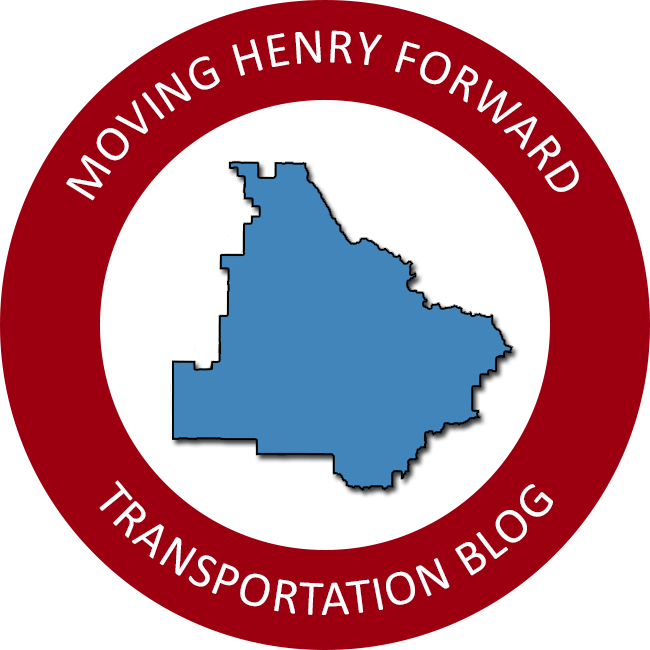 Henry County removes all open space, including buildable land, when calculating the project’s net density, but if the 49.2 acres were included within that calculation, the project’s net density is lowered to 3.03 units per acre. The proposed sixty two condominiums are planned to be an age-targeted community for senior citizens. All yard maintenance within this area would be maintained through the homeowners’ association. The other 309 units are single-family residential homes of varying sizes. Single-family homes will range from 1,800 to 3,000 square feet increasing with the lot size. The board of commissioners may not consider existing traffic congestion in their decision to approve or deny the request. The applicant will be required to complete a traffic impact study and install the improvements recommended by that study. According to publicly available traffic counts along Millers Mill Road, an average of 5,910 vehicles travelled in front of Berry Hill Airport per day in 2017. Utilizing the GRTA technical guidelines for DRI reviews, Millers Mill Road has a generalized carrying capacity of 14,600 daily vehicles in order to maintain an acceptable level of service “D.” This information suggests there is ample capacity to support the proposed development and a project to four-lane Millers Mill Road would not be necessary. Students within the development would attend Pleasant Grove Elementary, Woodland Middle, and Woodland High. As of November 4, 2018, no modular classrooms were in use at the three schools. Furthermore, Pleasant Grove Elementary and Woodland High accepted applications for school choice transfers for the upcoming 2019-2020 school year implying the availability of sufficient capacity. The ZAB recommended approval of the request. A public hearing about the project has been scheduled before the board of commissioners on Tuesday, March 19, at 6:30 pm. Following the public hearing, board members will render a decision on the applicant’s rezoning application. Meetings are held at the Henry County Administration Building in McDonough.